Investment scams happens everywhere in the world. How do we know which are investment scams and which are not? These are the normal questions we come across with. Are there viable indicators? 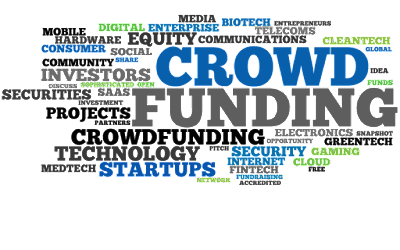 Recently, crowdfunding has started to gain my attention in the investment world. This is still something new in Singapore and many people are worried if it's a scam by itself since it is not regulated by the Monetary Authority of Singapore (MAS)? I was sceptical on it as well. Moving on, I did some research, met up with the people involved in one of the crowdfunding for SMEs called MoolahSense and strive to uncover the difference between investment scams and crowdfunding. I will share with you more on my findings in this post. But before that, let's take a look at some of the worst investment scams in Singapore and see what really caused it to be a scam. There are certain told-tale signs if we look carefully. A taxi driver invested $81K in Sunshine Empire and lost most of it. Sunshine Empire collected a total of $180M from Singaporeans and operated for about a year before the authorities stepped in. Sunshine Empire was a multi-level marketing company set up in 2006 promoting "lifestyle packages" and cash rebates if investors invest and buy their packages. The interests given were as high as 10% a month. Yes its 10% a month, not a year, and people still believed in it. In an article on business times, it was revealed that investors were told that the company was developing theme parks in Malacca and Cebu, and was setting up a radio relay station in Taiwan on top of owning a number of franchises and that the high returns were generated from investments and businesses alike. 10% interest per month really sounded too good to be true. The business itself raised red flags when investors were buying lifestyle packages but were told returns were generated from investments in theme parks and franchises. Geneva Gold is a gold buy back scheme which allows investors to invest in Gold and get a monthly interest for a period of time. Eventually, this would work out to be higher than the amount they initially paid. The interest paid was about 2% per month. The scheme failed somewhere in 2012 and monthly payments were delayed. To me, it’s simply because the business model was not sustainable. Collecting money from investors to buy gold and later sell it at a higher price is what they did so they could pay the interest to investors. But when gold prices started falling, the scheme fell off completely. It is not sustainable in the long run. In this post, I'm going to focus on crowdfunding for businesses. This is something new in Singapore but not new in the US and UK. As this is still new in Singapore, the industry is not yet regulated by the MAS. But, is this a scam in itself? 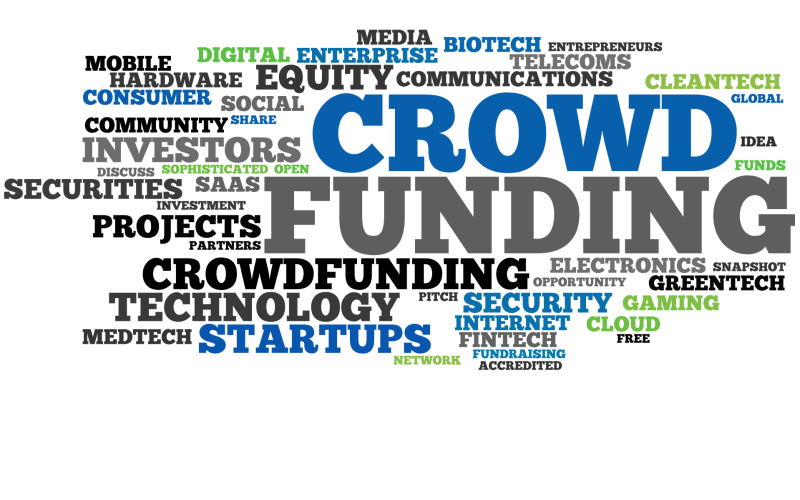 Let's take a look at what crowdfunding is to understand it better. MoolahSense co-founded by the CEO Mr Lawrence Yong, who has been a practitioner in the financial sector for the past 12 years, with experiences spanning private wealth management and investment banking. MoolahSense has opened up a whole new avenue for us ordinary investors who want a part to play in investing in SMEs in Singapore. Previously, only accredited or angel investors have the opportunity to invest in startups or SMEs. Only 1 in 20 SMEs get funding from banks even though they contribute greatly in the economy of Singapore. Crowdfunding is a win-win situation for both SMEs and investors. SMEs get the funding they want and investors get the interest in return. Crowdfunding at MoolahSense is an easy-to-understand concept. They bring companies and investors together. In the world of investment, there are different types of bonds such as government bonds, corporate bonds and bond ETFs. One other type of bond is called the ‘SME notes’. SME notes refer to a promissory note from one party to another that enables a payee to receive payments over a fixed period of time, ending with the date at which the entire loan is to be repaid. A form of investing in SME notes is via peer-to-business (P2B) lending. P2B lending is a form of debt-based crowdfunding that allows individuals to lend directly to businesses, facilitated via an internet-based platform. Investors can earn attractive fixed yields, gain access to a new asset class, and invest in local growth businesses. P2B lending is still relatively new in Singapore as compared to in the U.S., Europe and China. However, it is a global phenomenon that is gaining popularity in Asia. In Singapore, the pioneer P2B lending platform, MoolahSense, connects investors to high growth small and medium enterprises (SMEs) seeking short term financing, in exchange for attractive returns. You can download a copy of an ebook on Fixed Income Returns 101 to learn more about the various ways to generate steady yields. Download it here. Investing through MoolahSense can yield you an interest as high as 20% per annum. 20%!!! This sounds like a scam. However, we have to note that this 20% is actually amortised thus the real return is only about 11% per annum. Interest can vary from investments to investments depending on the individual companies who issue the notes. You may ask what is amortised? This simply means we are paid back a sum of money (plus interest), every month, instead of waiting ‘til the end of the year or ‘til the investment tenure expires. The interest is only charged on the remaining principle thus having a lower real return rate. If we invest $1000 on tenure of 12 months with interest at 10% through MoolahSense, we would get back $87.92 every month for the next 12 months. More is paid in interest at the beginning as principle is still high and lesser is paid in interest towards the end. It is the same as how most housing loans are amortised here in Singapore. This is how the investment works. You can refer to their website which has an online calculator here. Finally, let's see why crowd-funding through Moolahsense differs from a scam? Over a period of 3 years, the founders have consulted intensively with the Monetary Authority of Singapore (MAS) to ensure that the business will not violate any existing regulations. In the process, MoolahSense was given the ‘no obligation’ confirmation by the MAS to proceed with its current business model. Honestly, there are much easier and cheaper ways to scam people. Doing a crowd-funding campaign requires a fair bit of upfront work, not to mention the costs involved in shooting a good video, hosting an info sessions, etc. Are you able to identify scams from real investments now? However, do take note that every investment has its risks even if it’s not a scam. It is recommended to understand and do some research to weigh your risks before investing in anything. Check out Moolahsense website to find out more about the opportunities for SMEs funding and investments. Are new condo rentals a good deal for owners, tenants, or neither? We thought we’d dig into whether leasing an apartment in a brand new condo represents a good deal for tenants, and at the same time verify whether a value investor is going to get good rental returns in the early years of their condo. On one hand, we hear stories all the time of people getting a bargain when renting in a new development, and that seems to make sense considering there will be a flood of supply on the market (many near-identical apartments all available in a short period) and there may be inconveniences too (e.g. Ongoing construction, facilities not complete yet, etc). On the other hand - everyone loves shiny and new, right? We know in general that condos rent for less as they get older, but then where is the peak? Day 1, Year 2? Let’s look into the data to find out! We noticed recently that the Business Times updated their “Dark Condos” infographic feature with “Still Dark Condos” These photo essays involved taking photos of new condos at night as a way to determine approximate occupancy rates. We don’t find any of these particularly convincing, but it’s interesting nonetheless! This gave us the idea though to dig deeper into the rental data of some slightly older condos to see if we can spot any trends once they are more than 2+ years old and lease renewals come up. Here are some well known condos we picked to see what trends can be found with initial leases versus renewals. “Reflections” is a gorgeous condo on the south coast which is often photographed and often talked about. The first leases were signed there in early 2012 but it took a while before all apartments were ready for tenants, so the move-in continued for over year. This is definitely one where we heard wild stories of bargain leases, followed by rents going through the roof once people heard how great it was but not many apartments were left, and then finally 2-3 years later the leases didn’t seem that bad after all. 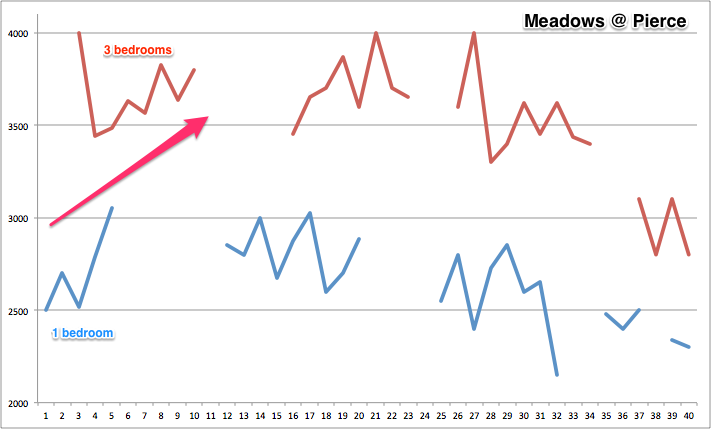 This graph definitely shows a trend, as we’ve annotated. Although rent within the first 3 years averaged $5,700/month, the earliest leases were clearly below this, before shooting up almost every month before hitting a peak around a year after the first leases were signed (I.e. The peak was early 2013). So did the earliest renters get a bargain? Did rent shoot up after that? Did rent return to “normal” levels after that? Yes, yes and yes - or so it seems. From the above you can see that the average monthly rent in 2014 was higher than 2012 for the first 4 months only, and after that leases signed in 2014 decreased compared to the equivalent month 2 years earlier. This would indicate that the earliest tenants probably did get a bargain in 2012 because the equivalent leases in 2014 were higher, meanwhile those who rented from 5+ months since launch perhaps overpaid, considering leases were negotiated down two years later. 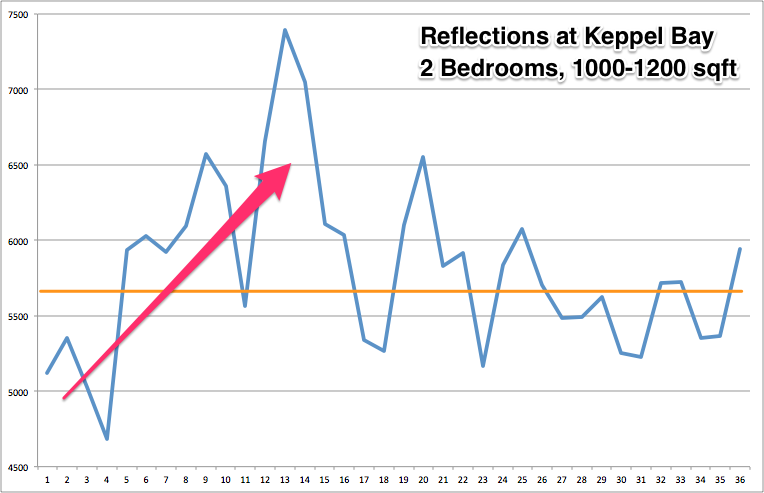 This decrease could also indicate a decreasing rental market in general in late 2014 though. We’ll draw some conclusions for landlords at the end too. It’s a little harder to draw any conclusions from this, although we can see that leases 2 years later in the late 2014 were higher than in late 2012 while the remainder averaged lower than two years earlier. But as mentioned above, by 2015 we were truly entering a downturn in rental prices so it’s hard to conclude anything for sure. What’s interesting here is to see how the supply of apartments actually stopped after a few months. Still, the same pattern emerged where apartments are priced under average in the first few months before shooting up as availability decreases. We’ve only looked in to three condos here, but it seems that the data backs up anecdotes that you really can get a bargain on rent if you move into a new condo in the earliest few months. But also beware - it seems that these new condos may become overpriced for rent once supply decreases. More good news for tenants in both cases though - it would seem that when leases are renewed, the earliest ones did not completely shoot up, meanwhile the most expensive ones did seem to come back down. If you’ve already bought a new condo off the plan, or considering it, then this data is very important for you too. It seems clear that a new landlord has a choice: either race against the clock to fill your apartment early for a cheaper price, or hold out longer with no tenant until you can get a better price. 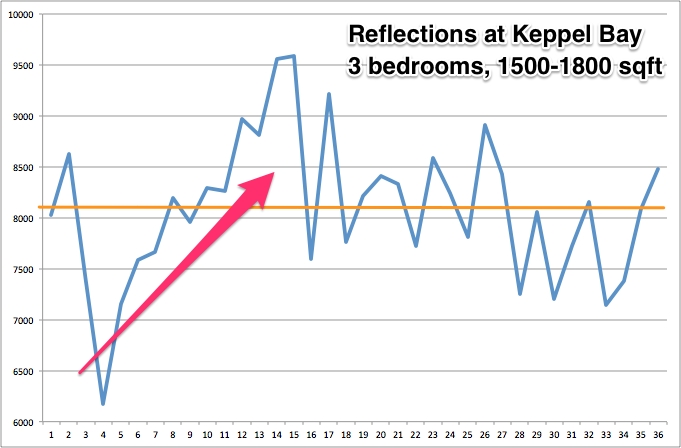 In the case of Reflections at Keppel Bay, we saw leases for the same size apartments increase on average by hundreds of dollars a month for the first few months, which would really add up for a 24 month lease - let alone if the tenant stays longer and you don’t have to negotiate so much again. Also, the price at which you rent your condo out can also play an important psychological part if you’re actually planning to sell within the first two years - obviously it’s easier to get a good sale price for your condo if you can show that you’re also getting a good monthly rental. Another factor is that the extra months at the start could give you time to make capital improvements to the apartment that allow both a better rental as well as better sale price in future. What do you think - have we missed anything? Most Singaporeans who have bought their own property will have to take up housing loans in order to afford one. We may have heard about refinancing in one way or another but what exactly is it and is it necessary to refinance our housing loans? Did you know that if you refinance a 1 Million property loan regularly, you could save more than $50,000 through it? Each time of refinancing can save you at least $10,000 in interest every 3-4 years. With higher housing prices, refinancing becomes more important as it could save us a lot of money in the process. Not many people refinance their housing loans as it seems quite troublesome. But if I tell you there's an easier way out for refinancing without having to search for the better loan packages yourself and without having to queue up at the bank, would you reconsider it? Let's look at how refinance can help us save money and how easily it can be done. Before we get into how refinancing can help save us money, let's understand what is refinance? Refinance is a term used to describe the change of loan terms from one bank to another. If there's a better package from another bank at lower rates, we can refinance there to get better rates for our loans. We can take up housing loans mainly from 2 places. Firstly, HDB does provide housing loans at interest of 0.1% above the CPF OA. It is currently at 2.6% interest. Secondly, we can take housing loans from banks which currently has interest rates lower than 2.6%. In this post, I will focus on bank loans and how it works. From here, you'll be able to understand why it makes sense to refinance your housing loans on a regular basis. Banks will not fix any rates for the long term. Fixed rate packages in Singapore are normally fixed for 2-5 years only. 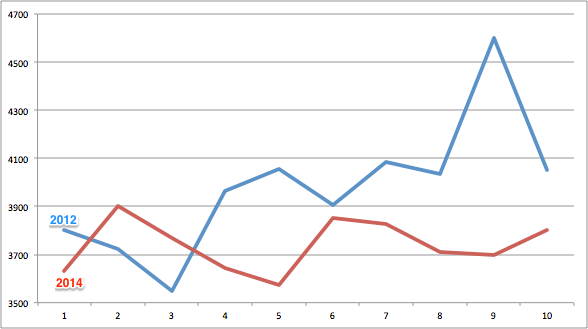 Thereafter, it will revert to floating rate again. For example, if a bank say they have this fixed rate package at 1.80%, the rate may be fixed for 3 years and then becomes floating rate later from the 4th year onwards depending on market conditions. Refinancing before the rate reverts to floating will guarantee us fixed rates again. 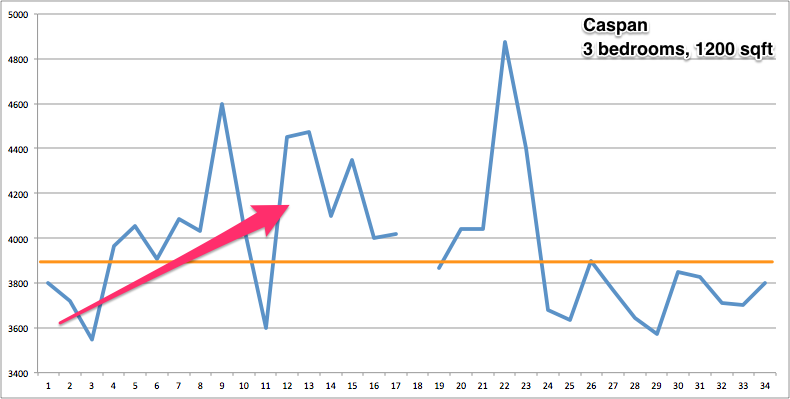 For floating rate packages, the rate also changes after a short period of time, typically on average 3 years. 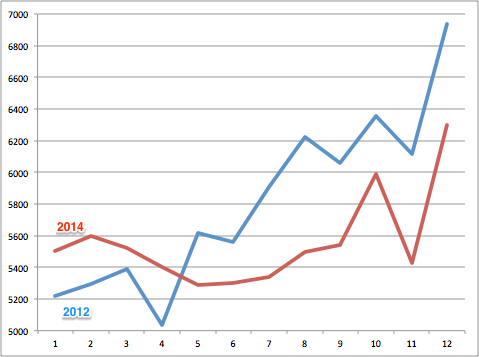 Banks will always offer a discounted rate for the first 3 years then revert to a higher rate from the 4th year onwards. For example, if a bank say they have this floating rate package at 1.5%, the rate is usually made up of a spread + 3m SIBOR, board rate or other floating scheme the bank has. The spread is normally lower at a discounted rate for the first 3 years and then revised upwards from the 4th year onwards. If we refinance before the rate reverts, we can always get the lower discounted rate. As we can see above, a typical loan package will have lower spread rates for the first 3 years then from 4th year onwards, the spread rates will revised upwards. Refinancing our loans before the rates revise upwards will ensure we always get the lower spread rate. How Much Do We Actually Pay In Interest? Did you know you would have paid $330,523.23 in interest alone for a 1 Million mortgage loan over a 30 year period at 2% interest? If we just refinance it at 0.5% lower, we would have saved almost $100,000 in interest. $100,000 is quite a significant sum of money. Maybe we don't want to look at long term but how about the instalment we pay every month? Will there be a difference if we refinance our housing loans? Yes there will be. If we have a 1 Million loan at 2.6% interest to be paid over 30 years, the monthly loan instalment is $4,004.00. If we can get a rate of 1.5%, the monthly loan instalment drops to $3,452.00. This helps us save almost $600 every month! Even for a few hundred thousand dollars loan for a HDB flat, we could still save a few hundred dollars a month just by refinancing. The benefits of refinancing is quite significant to help us save on the interest paid and even lower our monthly loan instalment. We could save a few hundred dollars a month and almost $100,000 over the long term. The problem why many people don't refinance is they don't know where to get the best rates or they don't have time to go to the banks to do it. Refinancing is made easier with mortgage brokering services. Through this service, you get free advice on your home loans and get the best rates. All applications can be done without going down to the bank itself. Its a one stop service that addresses the needs of individuals or families to help them save time and money. You can now refinance your loans with ease. One month ago, I decided to explore mortgage brokering service and offer it to everyone here after going through the necessary trainings. I like that this service is provided free of charge and at the same time I can help people get the best rates and also help them save time and money. You can also email me at sgyi@homeloanwhiz.com.sg for any enquires which you might have. Refinancing smartly can help save us a substantial sum of money. 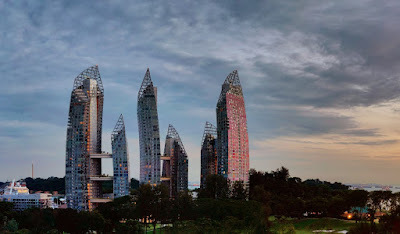 There is no doubt that modern Singapore is an incredible place to live in, one of the brightest and busiest centres of culture and commerce in the world. It routinely ranks among the top 20 richest cities in the world. In 2015, however, Mercer’s survey also ranked it among the top ten most expensive cities. Practically speaking, this means if you’re considering buying a home in Singapore, there’s probably a mortgage loan you’ll need in the future. To the layperson, trying to understand a home loan for the first time is like deciphering a foreign language. Here are the top ten terms and acronyms you’re likely to run across as you prepare to take out a loan and buy a home, and what they mean for you. If you’re a Singaporean, there’s a good chance you are already familiar with this abbreviation. The Monetary Authority of Singapore is the country’s central bank, and the centre of financial regulation. You’ll come across MAS often when reading about home loans, as they set all the rules of lending. Your loan-to-value ratio, or LTV, is one of two ratios that will help you determine how much you can afford to spend on a property. Your LTV is exactly what it says on the tin: the ratio of how much you borrow against the value of the property. In general, your LTV can’t be higher than 80 percent. The MSR is the percentage of your total monthly income that will go to paying back your mortgage every month. In 2013, MAS capped the mortgage service ratio at 30 percent. Your LTV and MSR are the first things you’ll need to figure out before you take up a home loan. Fortunately, there are some great online tools to help you do just that. Tools such as LTV and MSR calculators will show you exactly how much you can afford to spend. Once you’ve figured out your price range, it’s time to move on to the next step: who are you borrowing from. The Housing Development Board manages public housing estates, and they also offer loans for first time home buyers. HDB loans have a “concessionary” interest rate, based on the current CPF rate plus 0.1%. 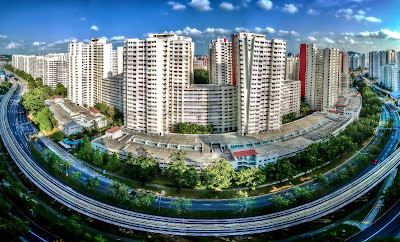 To get a HDB loan, you must have an income below S$10,000 per month, and be a Singapore citizen. The alternative to a HDB loan is to borrow from a private bank. Banks offer a wider range of options and flexibility, like floating interest loans or fixed rate loans (more on those later.) You can also refinance a HDB loan to a bank loan. But be very careful before you take this option! 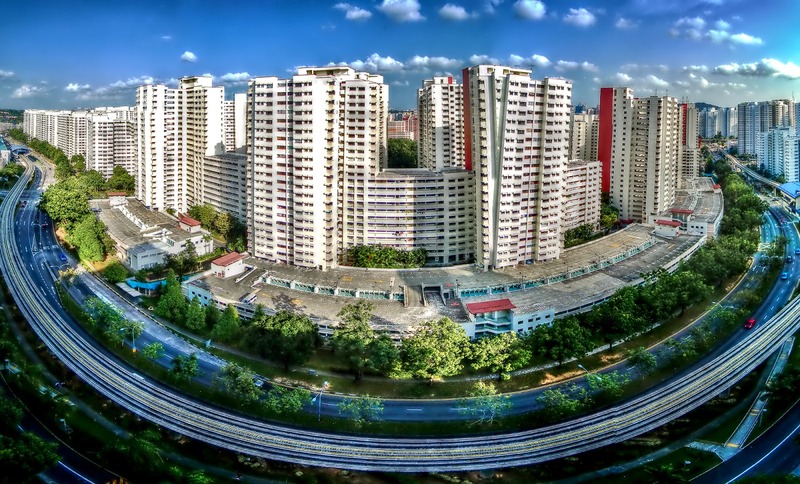 Once you’ve applied for a bank loan, you will no longer be eligible to go back to HDB. If you decide to take a bank loan, obtaining an IPA will be your first step. An IPA will tell you how much that bank is willing to let you borrow, and lay out your options for interest rates and repayment plans. After you pick a loan package, the bank will give you a Letter of Offer, and that will let you use your option to purchase. Of course, selecting a loan package will mean deciding between a varieties of different interest rates. A floating rate mortgage is one of the options a bank loan will offer you: your interest rate will vary with changing national or international market conditions. Floating rate mortgages come in two primary types: SIBOR and SOR. SIBOR is a reference rate that is calculated daily, based on the rate at which Singapore banks lend funds to each other. It is subject to fluctuations base on the economic conditions. SOR is SIBOR’s international cousin. Where SIBOR uses the exchange rate within the country, SOR trades on an international platform: the predicted exchange rate between the US dollar and the Singapore dollar. SOR is much more flexible: when it’s at a low, it will be lower than a SIBOR rate…but when it peaks, it will be higher than SIBOR. After the global economic crisis in 2011, SOR has lost some popularity, but there are still banks that offer it. You can also obtain a locked in rate from a bank. Most fixed rate mortgages will lock your rate up to a period of five years only, before it defaults back to a floating rate. Because the rate is fixed, the bank is taking some risk that you’ll be paying less than the current national interest rate. This means that fixed rate mortgages are stable but come at a higher base price. Don’t feel like you need to buy a new dictionary to apply for a home loan: once you get the basics down, you’ll start recognizing the same terms popping up all over the place! With a little research and tools like Property Guru, you’ll be well on your way to a new home in Singapore. Entrepreneurship : How To Setup A New Company In Singapore? Entrepreneurship seems to be the buzz word in Singapore nowadays, with many people rushing to create new companies. If you’re getting ready to make that first step and create your own start up, you might be confused by the many different types of business structures available to you. Are you alone in this venture, or do you have partners? Are you willing to risk unlimited liability, or do you want to limit liability? Are you willing to be taxed at a personal level? Or would you like the venture to carry the tax burden? If you’re a Singapore citizen who has forgotten your Singpass password, it can be reset most Community Centres and locations here or reset it online. One of the most common form of business in Singapore, a Sole Proprietorship is a business run by a single person. The business and the owner are considered the same legal entity. The owner is personally liable for all debts and losses of the business. Profits are taxed at the owner’s personal income tax rates. Sole proprietorships need to be renewed every year. A business that has between 2 – 20 partners. The business and its owners are considered the same legal entity and the partners are each personally liable for the partnerships debts and losses. Profits are taxed at each partner’s person income tax rates. Partnerships need to be renewed every year. A business that is a separate legal entity from its shareholder and directors. The business is considered a separate legal entity from its shareholders. Shareholders are not personally liable for debts and losses of the companies, though they may lose as much as they had invested. The rules on companies are set out in the Companies Act. Profits from a company are taxed at the corporate tax level. It should be noted as well that the annual filing procedures for a company are probably the most sophisticated among all the business structures mentioned. A structure that was not available in Singapore till just a few years back, an LLP provides the partners some rights of a partnership and some rights of a company. LLP’s do not have unlimited liability, like a company their partners are not responsible for any debts or losses that the business incurs on a personal level, unless the partner is personally responsible. LLP profits are also taxed on a personal level instead of the corporate level, thus combing the best elements of a partnership and a company. Limited Partnerships is the newest business structure available in Singapore. With a minimum of two partners, a minimum of one as a general partner and a minimum of 1 as a limited partner. General partners are liable for all debts and obligations while limited partners have their obligation limited to the amount they contribute to the business. In most other aspects though, this is similar to a partnership. Go to ACRA website and click under the appropriate tabs and follow the instructions. Read more at The New Savvy if you want to know more. The New Savvy is a financial platform that aims to empower women through meaningful content that are relevant and practical. The New Savvy provides resources to demystify finance and spur financial consciousness. We want to make money interesting to women and transform women’s relationship with money. Republished with permission. All rights reserved.